Reiki is the ancient, gentle but powerful vibrational energy technique of hands-on-healing. It is a safe, non-invasive form of healing that increases energy, reduces pain, and produces deep relaxation and a general feeling of well-being. It is a specific energy that helps our own healing systems to work to their full potential. It aids in restoring the natural balance in the body by balancing our energy systems. It helps us maintain balance in our own health and life. Reiki is a holistic therapy that harmonises body, mind and spirit. Reiki is a Japanese word meaning “Universal Life Force Energy”. “Rei” means “universal” in the sense of spiritual consciousness; “Ki” is the same word as Chi or Qi, the Chinese word (or Prana in Sanskrit and Mana in Hawaiian), meaning the life force energy found in all living things. When our life force energy is low, we can more easily become sick, hurt or depressed. Ki is also the energy of thoughts, emotions and our spirit. Reiki complements other healing methods and spiritual practices. It is not tied into any religion, cult or belief system. It works independently of whatever your own beliefs or preferences are. When we think of healing, we usually assume this means the ridding of symptoms and illness. However, healing should be considered on all levels (mind, emotions, body, spirit) because a lack of harmony on any level or discord between levels will cause imbalance, and eventually illness and symptoms somewhere in the whole. When dealing with symptoms it is worth remembering that many physical ailments are only manifestations of long-term imbalances within the total person, and that the ailment is a final cry for help. A person needs to be viewed in completeness, consisting of the various parts, not the parts in isolation. If it is only the symptom that is removed, the cause will only send up another cry for help, possibly moving the symptom to another location, or refusing to respond to treatment. Our life force energy flows all through us, around all our organs and through special pathways – the chakras and meridians. It also surrounds us in an energy field called the aura. The life force is “feeding” our cells and organs. If it isn’t free flowing, or if there isn’t much of it, the organs and cells do not function well and we can feel ill or depressed. Reiki flows to the parts of our life force energy field where the Ki flow is weak and congested / negative and charges that area with positive energy – breaking up the congested / negative energy and thus healing the energy pathways and letting the Ki flow properly again. Thus follows a return to health. Some conditions may be healed very quickly but others may take several treatments. It all depends on how deep-seated the condition is. 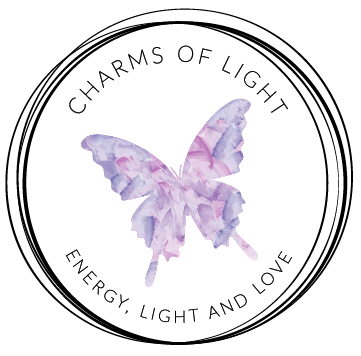 Reiki energy harmonises extremely well with all other methods of healing. It can also be applied to food, gifts, gemstones and many other items. Using it this way enhances the goodness of the food, the love or meaning behind the gift, as well as the power of the gemstone energy! Being attuned to Reiki gives you the ability to easily access the "Universal Life Energy Force" which we all have as our birthright. The Reiki attunement procedure is passed on from a Reiki Master Teacher to the student. A Reiki attunement is an energetic connection and a process of empowerment that opens your spiritual channels to receive the beautiful light energies of the particular Reiki modality that you are being attuned to. You will then be connected to the unlimited source of Reiki energy, with access to those energies/symbols for the rest of your life. By receiving an attunement, you will become part of a group of people who are using Reiki to heal themselves, each other and who are working together to heal the Earth. Attunements affect each person differently, depending on your vibratory level when you first receive them. In other words, if you have spent time doing work to expand your conscious awareness and have reach a high vibratory level, the attunements will provide a very quick "quantum leap" to an even higher level. To someone just beginning consciousness work, there is also a "quantum leap" but the expansion of energy will be relative to the level that you start out with. The wonderful thing about Reiki is, that even after the "quantum leap" which is caused by the attunements, you can still continue to increase your vibratory level and healing capacity by treating yourself daily and treating others whenever possible. Never have idle hands! Once you are attuned to the Reiki energy, you can never lose it. You will have an accelerated ability to channel the Reiki energy for the rest of your life. Even if you don't use it for a period of years, the moment you decide to use it, it will be there for you.